Lou Lou Girls > Breakfast > Casserole Muffins!! We woke up this morning and were starving! I haven’t been shopping all week, it’s been so busy! We were thinking we needed to clean out the fridge and freezer and try get rid of all the random food we have! This recipe went over very well with my husband, and I won’t lie, I liked it a bunch too! It would be fun for kids also! 2. Cut bacon into 1/2 inch pieces, cook until browned and crispy, drain the grease and pat dry with paper towels. Let cool. 3. Whisk together eggs, salt, pepper and milk. Then add red pepper, onions, tomatoes and bacon! Mix together well spoon or spatula. 4. Dump mixture into greased muffin pan. Be careful to not dump all the egg into the first few. I filled them about 3/4 of the way full. They puffed up while being cooked. 5. Bake for 15 minutes. Open the oven and top with cheddar and mozzarella; then close the oven and continue to bake for 3-5 more minutes or until cheese is completely melted! 6. Enjoy with some salsa or ketchup!! I love when all these random food items come together into something fabulous! 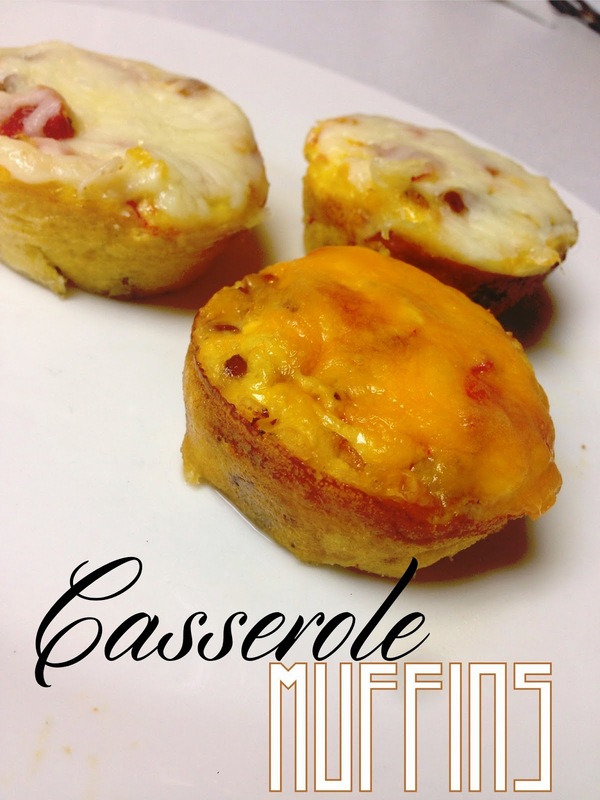 I love your idea for casserole muffins and will be making some soon. I'll put some in the freezer also for a quick bit on a busy day. Thank you for sharing with the Clever Chicks Blog Hop! I hope you’ll join us again next week! I added a bit of shreded cabbage for texture, very nice!